'Star Wars: Episode IX' Director J.J. Abrams Gets His Own Funko POP! ‘Star Wars: Episode IX’ Director J.J. Abrams Gets His Own Funko POP! Star Wars: The Force Awakens and Star Wars: Episode IX writer-director J.J. Abrams is the next filmmaker to be recreated in Funko’s Pop! Directors line (via Fantha Tracks). 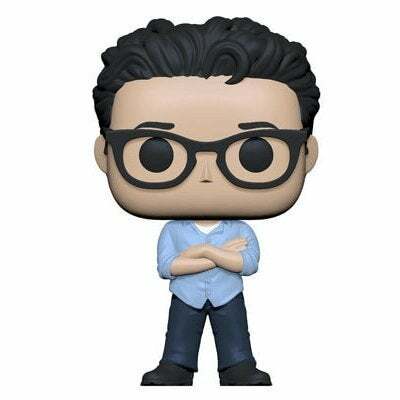 UPDATE: The J.J. Abrams Funko Pop is available to pre-order here with shipping slated for May. The Bad Robot founder joins the limited directors line, joining Alfred Hitchcock (Psycho), Paul Feig (Ghostbusters), James Wan (Aquaman), Guillermo del Toro (Hellboy), Taika Waititi (Thor: Ragnarok), James Gunn (Guardians of the Galaxy) and Vince Gilligan (Breaking Bad). Abrams’ figure, anticipated to arrive online April 27, will be sold at the London Toy Fair and Popinabox. The mastermind behind mind-bending television series Lost and Fringe and producer on the expanding Cloverfield cinematic universe, Abrams next returns to a galaxy far, far away with the second sequel to 2015 Star Wars revival The Force Awakens, which earned $2.06 billion worldwide and became the highest-grossing film of all time domestically at $936 million. Abrams resumes the reigns on the blockbuster Lucasfilm franchise from Star Wars: The Last Jedi writer-director Rian Johnson, replacing original director Colin Trevorrow after the Jurassic World director was fired off IX. “I learned so much in that movie and I saw that this was a chance to sort of realize something that we hadn’t quite achieved – and part of that was it was simply the beginning of these new characters and their story,” Abrams said last year of his decision to return for the conclusion of the long-running Skywalker saga. Abrams was forced to navigate the loss of General Leia Organa actress Carrie Fisher, who will appear in IX by way of unused Force Awakens footage. Fisher’s Leia is mother to leading villain Kylo Ren (Adam Driver) and was long expected to play a key role in the finale. Mark Hamill and Billy Dee Williams are set to return in Episode IX alongside stars Daisy Ridley, John Boyega and Oscar Isaac. Star Wars: Episode IX opens December 20.